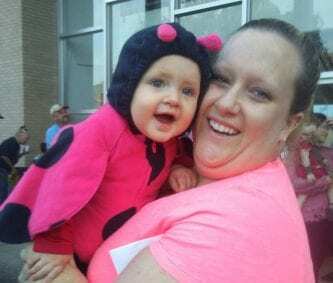 HIAWASSEE, Ga. – Hundreds of trick-or-treaters arrived at the Towns County Courthouse on Halloween evening to join in the fun-filled celebration. 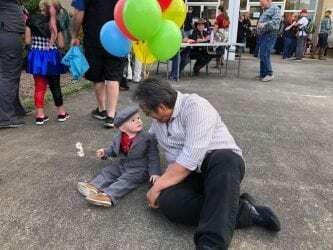 Candy booths sponsored by local businesses and government agencies lined the courthouse porch as children of all ages wrapped their way around the building, collecting sweets. 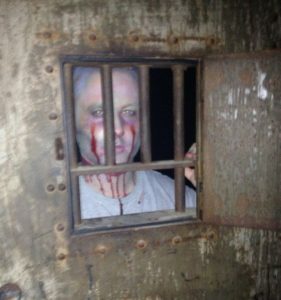 This year’s event featured a “haunted jail” attraction at the Old Rock Jail Museum, and the line to tour the 1939 historic site stretched beneath the maple tree on the courthouse grounds. 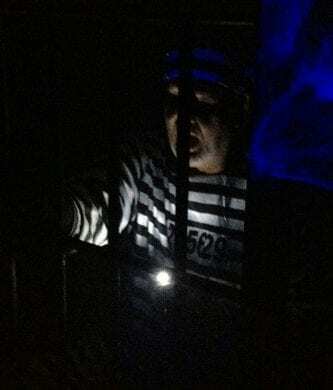 Towns County Historical Society accomplished a spooktacular feat by supplying themed props, adding startling strobe and sound effects, and casting a set of skilled actors to play the part of tour guides, inmates, and other creepy characters. Towns County Historical Society President Sandra Green estimated that over a hundred visitors toured the spooky site on Halloween night. Halloween in Hiawassee included a street performance by North Georgia Dance Studio, a “Thriller” flash mob, and a children’s costume contest. The first place winner in the birth-to-age-two category was awarded to Kylyn Keyes. Romina Solorio was chosen for first prize in the 3-to-7 year range, and Anna Hamby was judged the winner in the 8-and-older category. HIAWASSEE, Ga. – Hiawassee Mayor Liz Ordiales announced that Halloween on Hiawassee Square may be relocated to the Towns County Courthouse grounds in order to feature a new addition to the well-loved annual event: A haunted house attraction at the historic Old Rock Jail. Ordiales revealed that the City of Hiawassee is collaborating with Towns County Commissioner Cliff Bradshaw and Towns County Historical Society President Sandra Green on the notion. The festivities are scheduled to begin at 5:30 p.m. on Wednesday, Oct. 31. Traditionally, the event has taken place on town square. Hiawassee City Council, along with Hiawassee Police Chief Paul Smith, voiced agreement with the slight shift in venue due in part to parking issues. The relocation will free the parking spaces surrounding the square that were dedicated to candy booths in years’ past, potentially reducing the swarm of trick-or-treaters trekking across Main Street from business parking lots. While the plans for the haunted house and venue change were not firmly solidified by Mayor Ordiales as of Monday, Sept. 24, Commissioner Bradshaw stated no objection to to the plans. 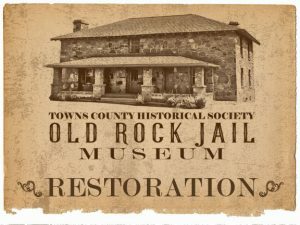 The Old Rock Jail is located adjacent to the Towns County Courthouse, with renovation to the 1936 stone jail recently completed through the efforts of the Towns County Historical Society. The two-story site serves as a museum, featuring artifacts and photographs, and is open to the public on Fridays and Saturdays from noon to 4 p.m. or by appointment. Scarecrows, created by area businesses, are set to begin “invading” Hiawassee Town Square on Oct.1, staked thoughout the month. 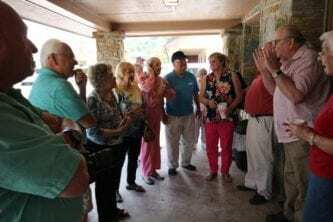 HIAWASSEE, Ga. – Towns County Senior Center took a tour of the county’s Old Rock Jail Museum on the afternoon of Wednesday, Aug. 22, 2018. Historian Jerry Taylor led the group through the recently renovated site, sharing stories from days gone by. 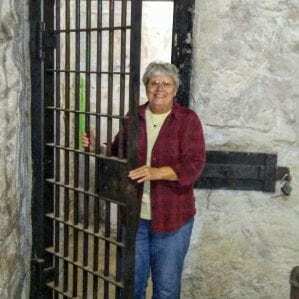 Once the group had viewed the downstairs portion, which once served as the former sheriffs’ living quarters, many ventured to the upper-level to take a peek at what life was like behind bars. 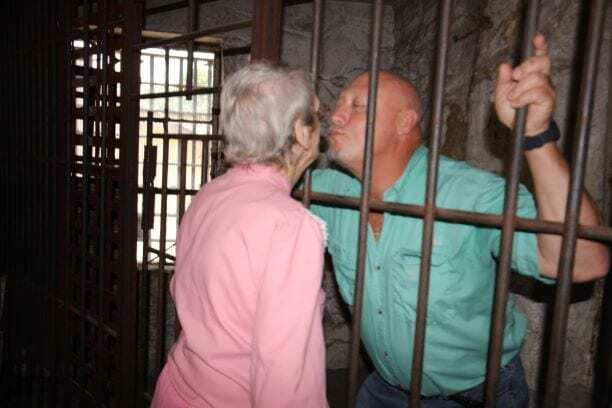 Historical Society member David Sokol told the tale of a friend, Dires Farmer, who visited her incarcerated boyfriend at the jail in 1959, stealing kisses through the iron bars. This, in turn, encouraged reenactments from the lively seniors. Towns County Senior Center Program-Wellness Coordinator Gail Bradley-Parker chauffeured and chaperoned the cheerful crowd. HIAWASEE, Ga. – A long-awaited, highly anticipated ceremony took place on the grounds of the Towns County Courthouse Saturday, May 20, 2018, memorializing the completion of renovation of the Old Rock Jail. The historic site sits just east of the county courthouse, adjacent to the Towns County Library. Deeded to the Towns County Historical Society Oct. 20, 2016, by former Towns County Commissioner Bill Kendall, efforts to transform the site into a museum proved to be a success. The Old Rock Jail served as the county jail from 1936 until the mid-1970s, prior to the construction of an updated detention center. 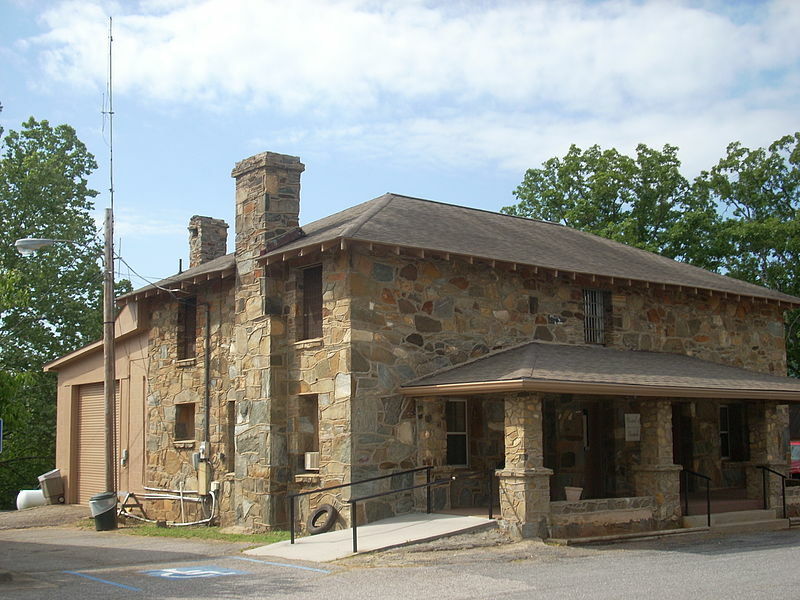 The jail was renovated in 1980, and functioned as Hiawassee City Hall, as well as a voting precinct, before abandonment in favor of a modern facility. The building was listed on the National Register of Historic Places in 1985. The Towns County Historical Society gained possession of the site Jan. 27, 2017. The ribbon-cutting ceremony began with words of welcome from Towns County Historian and Master of Ceremonies Jerry Taylor. An invocation was offered by Towns County Historical Society Member Doug Nicholson, followed by the Pledge of Alligence lead by Cub Scouts Pack 407, with the National Anthem sung by Karli Cheeks. 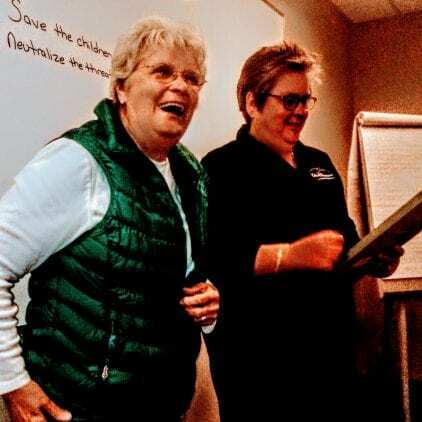 Towns County Historical Society officers were announced, with President Sandra Green, Vice President Nancy Cody, Secretary Betty Phillips, Treasurer Frances Shook, and Membership Secretary Mary Ann McCall Miller in attendance. 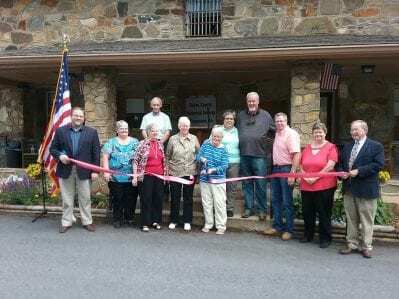 Towns County Commissioner Cliff Bradshaw, former Towns County Commissioner Bill Kendall, and Hiawassee Mayor Liz Ordiales spoke at the ceremony, expressing appreciation to the historical society for their dedicated work toward the project. Towns County Sheriff Chris Clinton attended the event. Jay “Junior” Chastain and Trey Chastain, the son and grandson of former Sheriff Jay Chastain were recognized. Sheriff Chastain lost his life in the line of duty in 1974, and Chastain was the the last sheriff to live in the Old Rock Jail. Towns County Historical Society Deputy Historian Jason Edwards presented the history of the Old Rock Jail to the sizable crowd. Towns County Chamber of Commerce President Candace Lee orchestrated the ribbon-cutting. The museum features artifacts from Towns County’s past, with some items donated and others on loan. Photographs from days gone by grace the vine-roped stone of the interior, with the downstairs living quarters revived to its former glory. The upper-level of the museum contains the cells where inmates were once housed, as well as the former sheriffs’ office, and the area is available for public viewing. Towns County Historical Society meets on the second Monday of each month, at 5:30 p.m. at the former Senior Center, located at 900 North Main St. in Hiawassee. Information on becoming a member of the society can be found at TownsCountyHistory.org. HIAWASSEE, Ga. – The Towns County Historical Society presented the city of Hiawassee with an artifact Monday, March 26, at the council’s monthly work session: the original 1929 tax digest for the city. 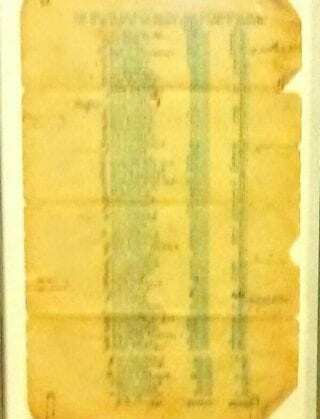 Penciled beside the typewritten taxes due from the Bank of Hiawassee, the amount paid is scribbled. The aged list contains the names of citizens and businesses that operated in Hiawassee nearly nine decades ago. The tax calculations were based on 40 cents per $100 worth of property. The total amount of taxed property amounted to $46,977, with $187.60 due to Hiawassee. The highest amount in taxes owed by a citizen was $16.40. Hiawassee Mayor Liz Ordiales expressed appreciation to the Towns County Historical Society for the framed document. 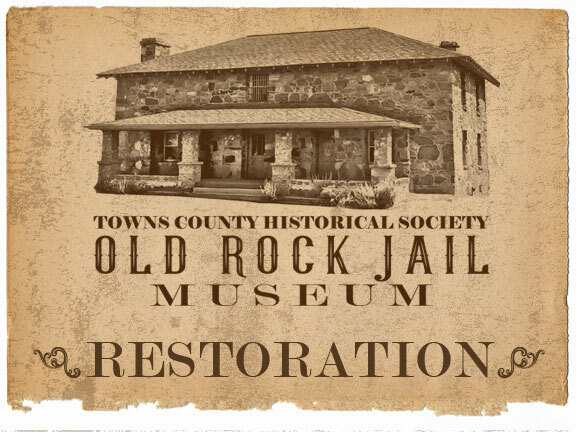 The Towns County Historical Society reminded that restoration of the Old Rock Jail will soon be completed with the museum scheduled to open May 19. HIAWASSEE, Ga. – Fetch Your News (FYN) correspondent, Robin Webb, was granted an impromptu tour of the Old Rock Jail in Hiawassee on Tuesday, Nov. 7, 2017. Towns County Historical Society President Sandra Green approached the site as heavy afternoon rain fell and found the reporter perched on the porch, seeking cover from the storm. The historian was scheduled to meet an electrician in a continuing effort to restore the jail to its original glory, and kindly offered the curious journalist an opportunity to explore before the workman arrived. The Old Rock Jail served as the county jail from 1936 to the mid-1970s, prior to the construction of an updated detention center. The building was renovated in 1980 and functioned as Hiawassee City Hall, as well as a voting precinct, before abandonment in favor of a modern facility. The jail was listed on the National Register of Historic Places in 1985. The Towns County Historical Society gained possession of the future museum on Jan. 27, 2017. Ms. Green guided the way through the former kitchen where a wood burning stove once stood, winding around into a narrow hallway. 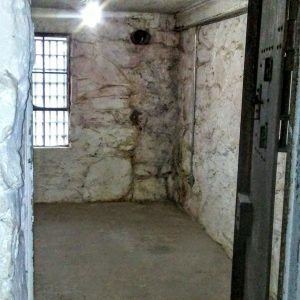 “I believe a desk sat there for registering the inmates,” the historian said, pointing to an area beneath the stairwell. The intrigued reporter glanced toward the steps that lead to the desolate cells above as thunder rumbled outdoors. “Just wait until you see the up there,” the friendly historian chimed, well aware of the writer’s fascination. The final room toured on the lower level once served as bedrooms for the sheriffs and their families. Green pointed out a marking on the wall where the room was previously separated by a partition. 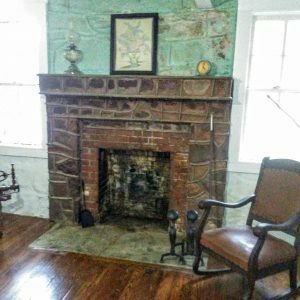 Once the restoration is complete, the area will become the museum’s main display section for rotating historical artifacts, while the living area will be decorated seasonally to reflect and preserve the sheriffs’ dwelling. The historian swung open a heavy iron door and the duo proceeded inside. The cells were dimly lit and a dampness hung in the air. 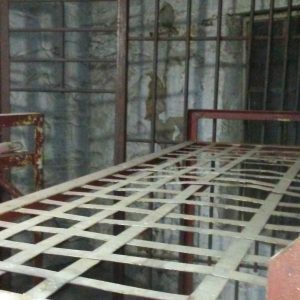 The skeletons of metal bunk beds surrounded a cage that once housed up to four inmates at any given time. Countless names were scrawled and chiseled into the rock walls by the inhabitants, alongside spray-painted graffiti, an act of vandals after the jail was vacated in 1977. Across the hall lies what was once a bullpen for additional prisoners. A compact cell with the bars running diagonally lines a corner. “We believe that was the drunk tank,” Ms. Green explained. The last upstairs room entered was the former sheriff’s office. “That’s why the walls in here are so much cleaner than the others,” the historian quipped as the reporter snapped more photographs. Military memorabilia will be placed on display throughout the jail’s upper level. FYN inquired as to when the site’s final restorations are expected to be complete. A date is unknown at the time of publishing. One thing is for certain, however. It will be a must-see spot for history lovers, both local and tourist alike. 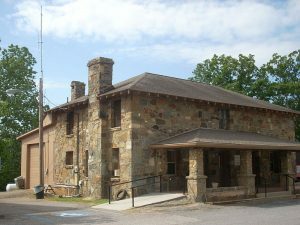 The Old Rock Jail is located next to the Towns County Courthouse, south of Hiawassee Square.